Walsine Pierce: BOOKS: Too much of a good thing! BOOKS: Too much of a good thing! I love books! Not just the stories, I like physical books. I don't like book covers. I immediately remove them. Collectors have explained how foolish this is as the covers are a large portion of the books value. My oldest son and wife agree. They just shake their heads. To me it is like covering the couch or the seats in an automobile. Why hide the beauty for someone else in the unknown future? I like to collect books by authors. I have complete collections for several authors. Therein lies a problem. I do not have the storage for the books I already own and have discontinued this enjoyable past time. Searching for the missing books was an adventure I enjoyed. Book stores were mostly avoided. Part of the enjoyment was getting the books at very low prices. Uh, maybe an average of two dollars per book. Julie paid $36 for a book of Clancy that was going for hundreds of dollars. Yard sales could be a gold mine! The most properous souce, however, was thrift stores. 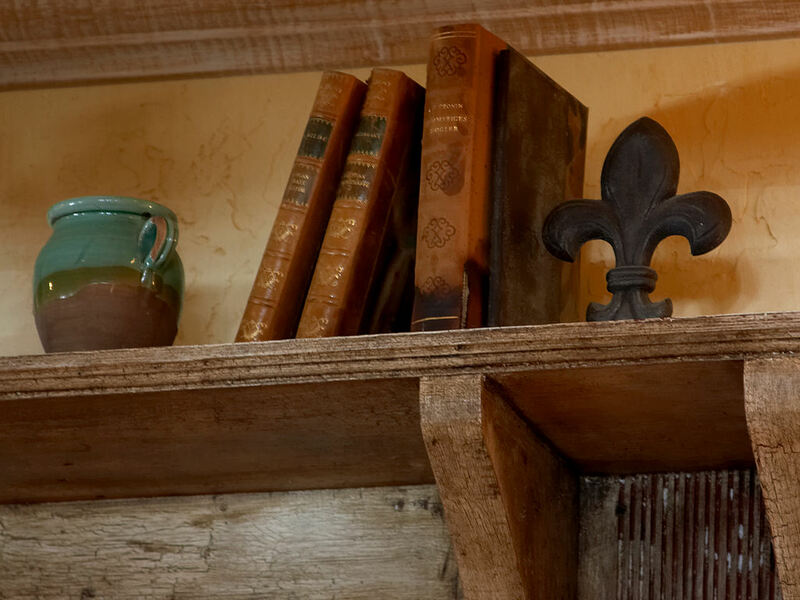 Some actually specialize in books, all have some books. Although the large editions from Ludlum, Grishrim and Clancy anchor my shelves, I also enjoy owning books from popular authors of the past. I have a beautifully bound collection of Zane Grey books. The writings of Zig Olson are absolute poetry best read in the North Woods. Who today would read books written by Pearl S. Buck? She was the Norah Roberts of the day, writing about rural China in the '20s. I have had a goal of living on the river on a shanty boat for years. 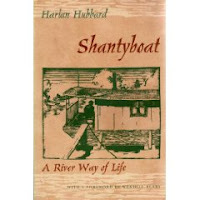 Harlan Hubard did just that and wrote several books about his experiences. What a joy to read and dream. 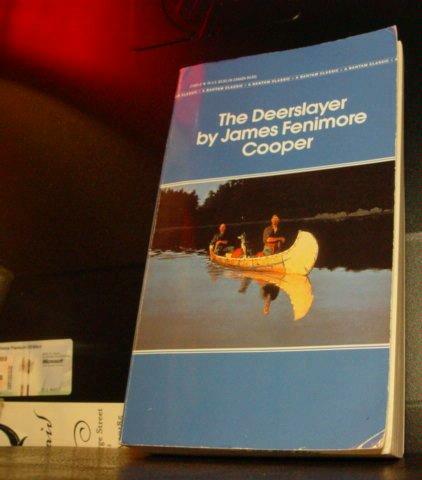 I paid $1.97 for a very aged copy of James Finnemore Cooper's "The Deer Slayer". The pages of the book are very fragil. Carefully handling the pages is not the biggest challenge in reading this book. The English language of Cooper's day is a far cry from the English we speak today. I love autobiographies. John Adams, Alexander Hamilton, Theodore Roosevelt, I love them all! 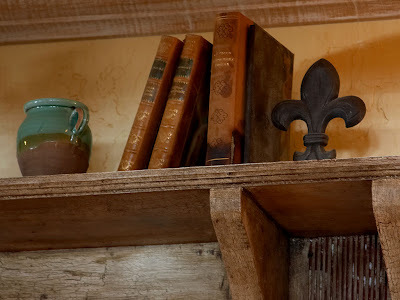 Not only do I learn of life in another era, the books are several hundred pages long. I like a book that takes a lot of readin'. 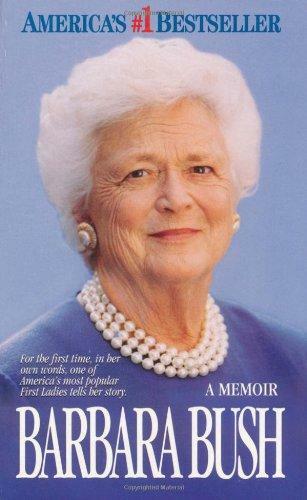 I just read "Barbara Bush, a Memoir". Would you believe I found a signed copy. I enjoyed reading about her husband, the 41st U.S. President, George Bush. He and I have so much in common! He married a Pierce, I am a Pierce. He served aboard an Aircraft Carrier in the Navy, I was on the USS Intreped. His fighter plane was shot down by the Japanese off a small island which no one has heard of, Chichi Jima. While serveing aboard the USS Yuma, a seagoing tug, I worked the radio in the rescue of a Japanese crew caught in a typhoon off Chichi Jima. Curious! It is dangerously hot today, all this week. Highs in the upper 90's. I am staying indoors in the AC during the day, working for a couple hours just before dark. I am enjoying re-re-reading Grisham's "The Testament". I would be a poor grand father if I neglected to mention the book that graces the center most spot of my coffee table, "Feeling for Bones" by Bethany Pierce. The book has been republished in German. A second book, "A Girl Named Amy" has been printed and will be in the book stores soon. I should also mention the book at the left, written by a reader in Florida. Life is good! It is great having time to enjoy a great book. If you're not there yet, in your life, hang on. It is worth the wait. Bye-the-bye, few things thrill me more than to get a response to my blog while I am still writing it. Thanks, Todd. The Testament is by far my favorite Grisham book. Glad to hear you sound in better spirits. Just another thing we have in common. I love books! I can't wait to graduate so I can read more for fun. So many books...so little time! WHATS NEW, DIFFERENT OR EXCITING: Let's see now? TGIF: Another Weekend A'Comin, Yeah! THE TRUTH SHALL SET YOU FREE: What is the Truth? 1004 PROFILE READERS: Thanks one and all! GROWING OLD GRACEFULLY: Not !!!!!!!!!!!! !